Today’s drink was a bottle purchased in Barcelona but drunk in Singapore about 2 years after it was bought. I bought a bottle of cava from Barcelona’s airport at the end of a business trip (aka press trip). My interpretation of cava is a Spanish champagne. 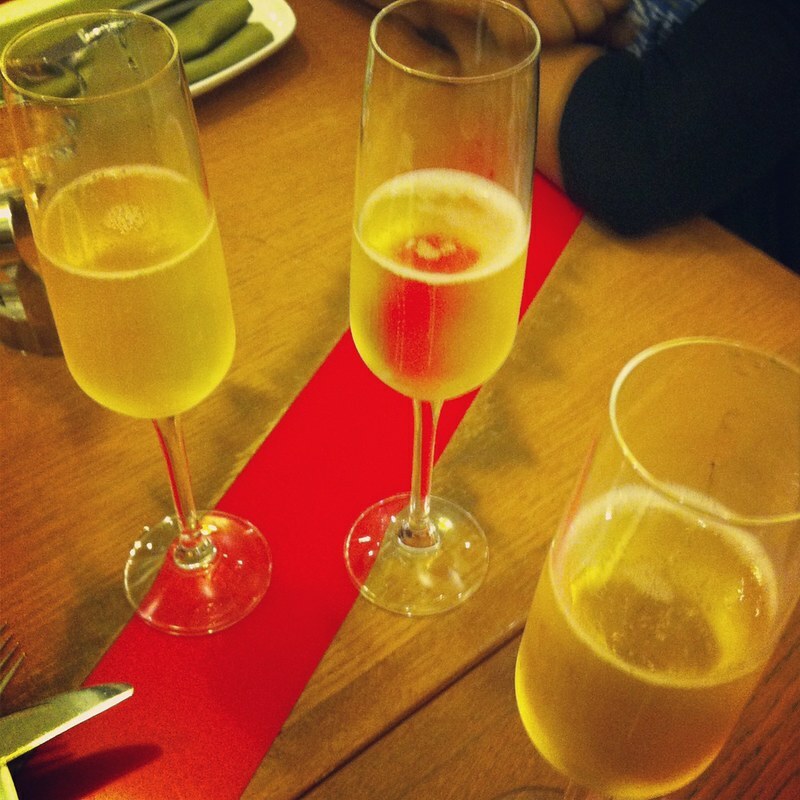 Only sparkling wines produced in a certain region and a certain method can be called cava. The bottle was dark green and had a heavy bottom and a wooden cork. I made a promise to drink it only on a very special occasion. The bottle moved with me to another place, it stood in a corner of my room for a very long while. It seemed like I would never have that special occasion to drink it. Finally, I did take the bottle out in March 2013. Finally, I was going to travel around the world! Most of the “dryness” of the wine was gone by the time I shared the bottle. Still, it was a good wine for me as it was still sweet and intoxicating. Do you have a special drink?